Despite my own doubts about his obviously flourishing career, Mark Wahlberg continues to book one role after another. And you know what? I kinda admire his gusto. Though I don't think he really has the chops (at least not yet), I find it interesting that he is approaching his career similarly to that of Leonardo DiCaprio -- young heartthrob-turned--older heartthrob with major Hollywood clout. For that, I've got to hand it to him. Eh, I've seen enough gambling/casino type crime dramas, but I'd watch Lange on screen any day. 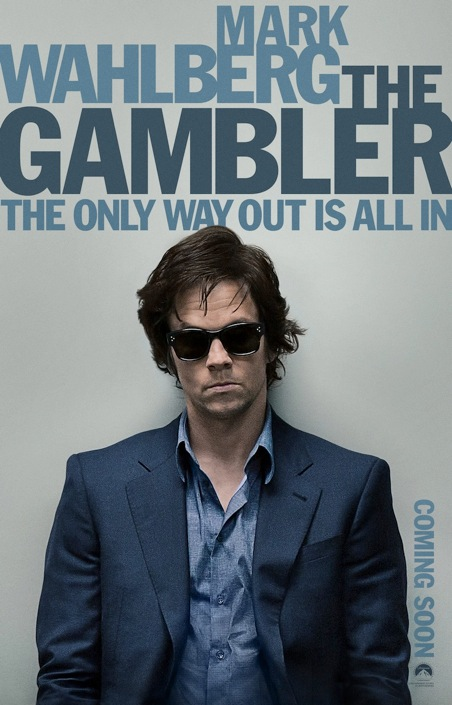 Plus, Rupert Wyatt (Rise of the Planet of the Apes) directed THE GAMBLER from William Monahan's (The Departed) script. Which is actually two more pluses. And in other Mark Wahlberg news, the actor has also signed on to reunite with Will Ferrell in the comedy DADDY'S HOME, also for Paramount. You may remember that the two headlined The Other Guys back in 2010 -- a film of a which I never got the appeal, but I know made tons of money. Well, of these two projects, I'd have to go with the former as one that is more likely to get my attention. What do you think?